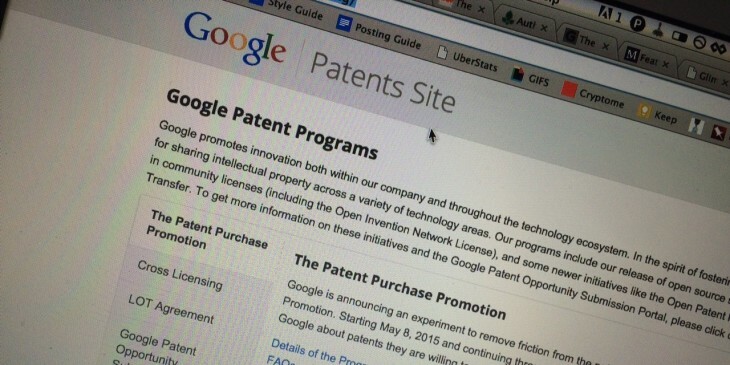 Google has announced a new experimental patent buying service. It’s soliciting proposals from companies and individuals who want to sell their patents. One reason for the scheme, which the company is calling the Patent Purchase Promotion, is to outflank trolls who swoop in to grab intellectual property from inventors and small outfits who find the process challenging. Of course, the unspoken reason is that gaining a big batch of new patents could be very helpful to Google in the future, when more litigation rolls around. The window for submitting patents for sale will begin on May 8 and end on May 22, meaning interested parties only have a short time to get involved. Once Google’s closed the portal, it’ll review submissions and let patent holders know if it’s interested in doing a deal by June 26 2015. The company predicts that it’ll be able to complete the process of buying up patents, after due diligence, by late August.